After spending a few nights in the historic city of Chiang Mai, we were greeted at our hotel by the Elephant Nature Park staff who had come to pick us up. Among them were our guides who would be working with us throughout the rest of the week. On our drive up to the park, our guides pointed out the other ‘Elephant Camps’ in the area as we passed them. They told us that many of the camps, which focused either on tourism or logging, still employed cruel and unethical practices that exploit the elephants in captivity. He assured us that ENP was not like that at all. Once we had gotten settled in to our rooms and laid down our things, we were led to a large hall where the orientation was given. There we learned about safety procedures, animal anatomy and the ‘do’s and don’ts’ of working with the hulking animals. They also made it very clear that the elephants are not there for us, the visitors, but instead that we are there for the elephants, and to be of service to them. We were to respect the animal’s space and to not bother them unnecessarily, and of course to be kind and compassionate to them. All of the animals at the park (and I say animals because elephants aren’t the only ones to be given sanctuary there) had been rescued without exception. In the case of the elephants, they were generally rescued from logging camps and circus acts, lives fraught with abuse, and it was here they came to retire and spend the rest of their lives in peace. Over the course of the next week, we had done many different types of volunteer work, from transporting hay for bedding and feed, to paving pathways and to cleaning pens and shoveling dung. This was by no means easy work, and all of these things we gave with no expectation of anything in return… but boy, did the elephants give back more than we could ever have imagined. They gave us back gratitude and presence and beauty in the way only an animal can. They showed us their emotions through their deep and communicative eyes, and they showed us their joy through their playful calls. Most of the elephants had scars and injuries, memories of painful past lives, but were happy to simply be there in the present, in a safe place with care provided to them by leagues of dedicated people. It was a place of sheer serenity, but also it called for action and change. At the end of the week, the founder of Elephant Nature Park, Sangduen Chailert, came by to give a speech to all of the volunteers in attendance. She spoke about her own history and the history of the inhumane treatment of elephants within her own country. She spoke about the feelings of powerlessness that she felt, and the powerlessness that the elephants must have felt too. She spoke about the founding of the park, and the challenges they’ve faced, and the obstacles they’ve overcome to make this paradise a reality. And she spoke such truth that by the end of her speech, no one was left untouched. After the speech, we spoke with Sangduen for a little bit. I was absolutely dazzled by her authenticity, her down to earth-ness. She was a real person who believed in something so much that she made it a reality, and that inspired us all. 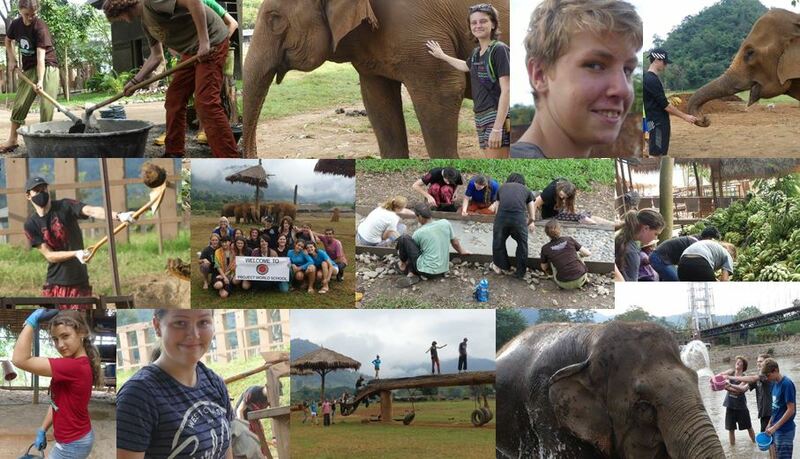 Our week at the Elephant Nature Park changed us all, for the better. It showed us that anything is possible, and that we as individuals really can make a positive impact on the world we (and other creatures) live in. And that’s a beautiful thing.